As healthcare providers who work under stressful conditions, registered nurses (RNs) need workplaces that are safe, healthy, empowering and satisfying. RNs who have earned Doctor of Nursing Practice (DNP) degrees and hold leadership positions have the duty to manage workplace stress to promote safe patient care. Experts say welcoming and approachable work environments increase nurse retention and improve the quality of care. Organizations that include the World Health Organization (WHO) and the American Nurses Association (ANA) said healthy environments are crucial to positive patient outcomes. With several studies showing the benefits of healthy work environments, DNP-educated nurses are increasingly reassessing what makes an effective nurse manager. Part of the answer is implementing positive nursing work environments, studies show. The ANA said nurses perform to the best of their abilities when fundamental workplace expectations and environments are in place. The organization, which represents the interests of about 4 million RNs, created a Nurses’ Bill of Rights that outlines best practices for nursing environments that benefit both healthcare providers and patients. The ANA said the document establishes a framework that organizations can use to build policies and procedures about basic rights in the workplace. OR Today Magazine said the Nurses’ Bill of Rights could help settle workplace-related issues because it adds credibility to nurses who need to address difficult situations with administrators, including safety, staffing and workplace violence. 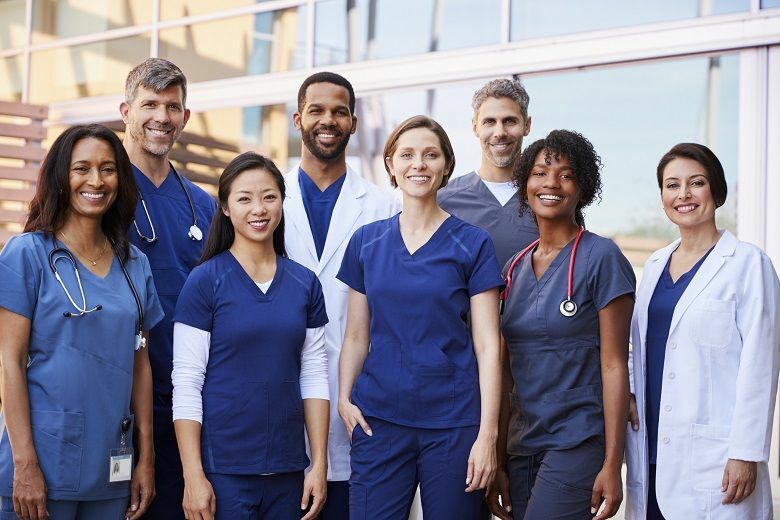 In addition, the American Association of Critical-Care Nurses (AACN) developed success standards for a healthy work environment that underscores the need for support and collaboration among nurses, doctors, administrators and other staff members. “A healthy work environment and a high-functioning nurse advancement system are inherently complementary. Both contribute to the delivery of optimal patient care by nurses,” the AACN said in its “AACN’s Healthy Work Environment Standards and an Empowering Nurse Advancement System” journal article. Both the ANA and AACN said a healthy workplace culture (or environment) starts at the leadership level. Effective nurse managers have the authority to create positive professional environments that foster collaboration and improved nursing work environments. The authors of “The Impact of the Role of Doctor of Nursing Practice Nurses on Healthcare and Leadership” said a DNP education prepares RNs to innovate patient care models that influence healthcare on multiple levels, including in the implementation of evidence-based practice and healthy work environments. “These individuals have served as experts for change in translating best practices into the care environments and provided cost-saving solutions to patient care challenges while maintaining or improving outcomes,” the journal article authors said. DNP students at Duquesne University learn about the value of positive work environments for the betterment of healthcare. Through the online DNP program, advanced nursing students also learn about the evidence-based practices that lead to positive leadership. Duquesne University’s online DNP program prepares RNs to focus on leadership skills that will improve nurse satisfaction and patient care. Students learn how a healthy work environment encourages positive workplace culture. Through the program, DNP students have the option to focus their doctoral education in one of three areas of study: Transcultural Nursing, Forensic Nursing or Nursing Education. Duquesne University has been repeatedly recognized as a leader in nursing education, most recently as a “Best Online Graduate Nursing Program” by U.S. News & World Report. The university’s online DNP program provides one-on-one faculty mentorships and a 100 percent online curriculum. For more information, contact Duquesne University now.